This collection contains recordings in German. Gottfried Reichel began preaching the gospel at Munich, Germany in August 1948. 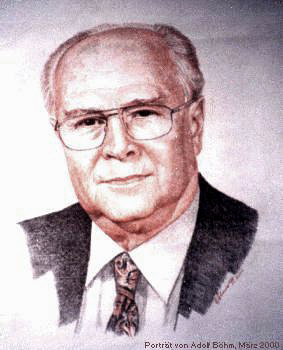 He first studied at the Kolleg der Gemeinde Christi at Frankfurt, Germany and in 1953 he received a BA degree from Harding University at Searcy, Arkansas in the United States. For 35 years, from June 1965 through December 2000, he was the regular speaker for the German Radio Ministry, a weekly broadcast aired over Radio Luxembourg, with its 600,000 watts, the most powerful commercial radio station in the world. This German-language program called Es grüßen euch die Gemeinden Christi (Romans 16:16) received mail responses from listeners in 39 countries located on four continents: Europe, Asia, Africa and America. Click here for more information on Gottfried Reichel.